If all had gone according to plan over the weekend, we would see a nice pile of drill fines in the above image. 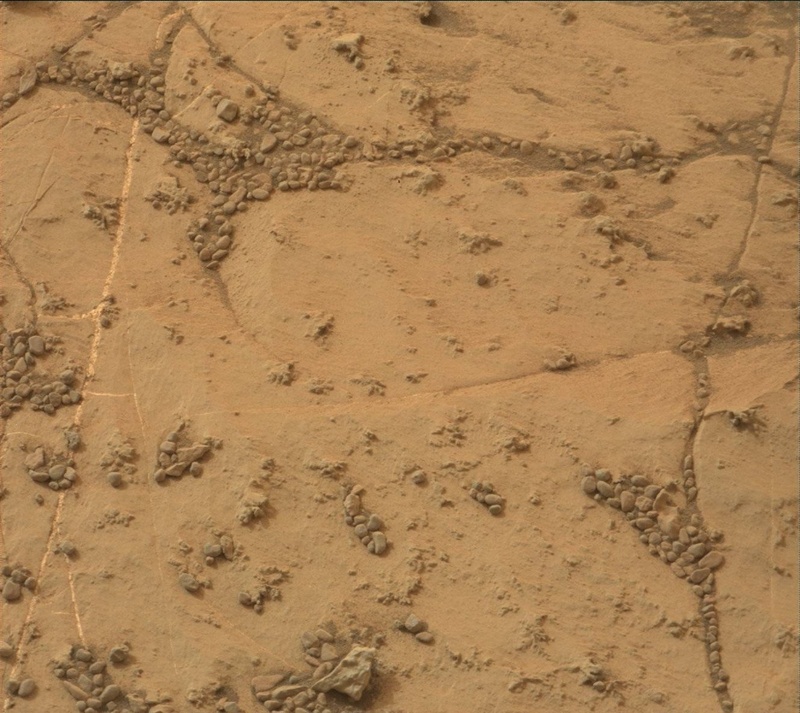 Alas, a slight hiccup in the sample dump process meant that the "Stoer" sample was still in the drill and turret. Fortunately, the vast majority of the weekend activities executed unhindered by the sample dumping fault, allowing the team to focus today on recovering the dump-related activities. We had enough power to reattempt the sample dump, the MAHLI imaging on the dump pile, and two APXS integrations on the dump pile. We planned Mastcam and Navcam images of the workspace after the sample is dumped to enable us to target the dump pile with ChemCam in the next couple of sols. A MAHLI image of the drill hole and tailings will help us plan APXS placement on the tailings as soon as tomorrow's plan. In addition to making forward progress on drill activities, Curiosity continued to learn more about the dust kicked up by the now-waning dust storm conditions. A weekend dress rehearsal of a ChemCam passive observation of the Sun was successful, so today's plan included the complete observation. Typically, we avoid pointing ChemCam at the Sun (really, all cameras! ), but this carefully designed observation will acquire ChemCam passive data that will characterize the spectral properties of the atmospheric dust kicked up by the dust storm.